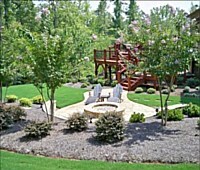 At Four Seasons Landscape Management, we have tree specialists who know just what tree species and kinds of shrubs will best survive and thrive in Georgia’s changing weather. They are knowledgeable in every aspect of tree and shrub planting, so you can place your full trust in them to give your property a remarkable landscape. Additionally, we can provide any kind of tree or shrub that you may require for your commercial or residential property. And with our brand of dedication to providing the best landscaping services to every client, you are assured of the best results possible from the greens that we will place around your property. Autumn Cherry. This tree will surely look amazing in your backyard with its pink blooms. This specie typically comes in full bloom during spring and fall. Grancy Greybeard. With its puffy white blossoms, this tree will surely look exciting in your backyard. It is also a decorative tree species. Oakleaf hydrangea. This shrub can live in Georgia’s weather condition. It has large, cone-shaped flowers in summer, stunning color palette in fall, and can be planted together with other shrubs for an exciting mix. Evergreen. 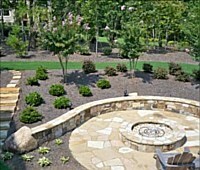 Evergreen shrub can withstand high temperatures and are therefore perfect during Georgia’s summer season. But, it can also bloom with rainbow colors in winter, spring, and fall seasons. The good thing about it is that it is a bird and butterfly magnet, which could turn your landscape into a virtual aviary and butterfly farm. Figs. Figs aren’t just meant for landscapes, they good for the dining table, too! In fact, fresh figs are known to be used in breads, salads, and desserts. Among the ideal fig tree varieties include Celeste, Hardy, and Conadria for northern Georgia, while Alma, Kadota, and Magnolia are among the recommended ones for the southern Georgia area. When you hire us for your tree and shrub planting needs, you can rely on us to transform your landscape into a better-looking one. We achieve this by using systematic and scientific methods to ensure the shrubs and trees that we will plant will grow and not wither, no matter the weather. We also provide other tree relates services such as periodic maintenance and treatment of trees and shrubs.